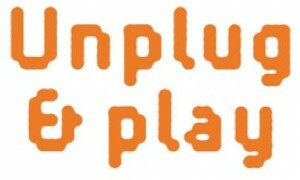 I was pleased to see our new Chief Minister, Katy Gallagher launch a new campaign ‘Unplug and Play’ recently. I’m a strong believer in educating children to be more active instead of watching TV or playing video games. This is why we conceived the Healthy Hoops 4 Active Kids program, teaching kids how to eat healthily and exercise more. What’s pleasing about the Chief Minister’s new initiative is that it’s directed towards parents. It’s up to us as parents, not just teachers in schools to help make sure children get enough exercise. The Chief Minister said at the launch of the program that incidence of obesity in children has doubled since 1995. Their research indicates that kids need at least 60 minutes of moderate to vigorous physical activity each day for good health. Most children in the ACT spend more than two hours each day watching TV or playing video games rather than physical activity.